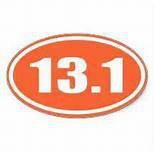 A 14 week Half Marathon Training will start at 7am on Saturday March 8th at 55th and Brookside! Jennifer Ristau, an RRCA certified coach will lead this group to glory and ensure you can go the distance at Hospital Hill half marathon. Saturdays starting March 8th at 7:00 AM.